Expedition travellers are encouraged to book now to ensure a place onboard the National Geographic Orion for the 2014/15 season, with new exploration tools added that will provide the best experience yet for guests. Images have now been released that highlight the underwater experience on offer. This comes after the newly named National Geographic Orion was upgraded with a range of new exploration tools in March 2014, including kayaks, a state-of-the-art remotely operated vehicle (ROV) that reaches depths of up to 300 metres, full snorkeling gear for all, a SCUBA program that can accommodate up to 24 divers at a time with a dive master*, a glass bottom boat, additional Zodiacs and more. There is also an expanded expedition team to accompany the new tools, including a National Geographic photographer, Lindblad-National Geographic certified photo instructors and a video chronicler on all departures; an undersea specialist/dive master on many voyages, plus guests speakers that are part of the Lindblad Expeditions-National Geographic ‘Global Perspectives’ program on select voyages. This expedition includes the landscapes of the Kimberley along with the remote island villages of Indonesia. Guests can experience four dive locations, including the pristine and remote marine area of Rowley Shoals. The 15-day voyage begins 10 August 2014 and 16 August 2015 with rates from $11,155, departing Broome, Western Australia and disembarking in Bali, Indonesia. Guests will set sail from idyllic Bali to explore a range of tropical islands off the Indonesian coast. Activities include swimming, snorkelling and diving at reefs, isolated atolls, and ivory beaches. The 17-day voyage begins 20 October 2014 with rates from $15,540, departing Bali, Indonesia and disembarking in Cairns, Australia. This voyage combines the white-sand beaches that saw some of the fiercest battles of the Pacific Theatre during World War II with reefs, shipwrecks and discarded armaments now covered in coral. Guests can snorkel or dive the lagoons of Papua New Guinea’s Louisiade Archipelago. The 14-day voyage begins 5 November 2014 with rates from $12,550, departing Cairns, Australia and disembarking Lautoka, Fiji. The tropical seas along this route have seen a range of explorers and cultures pass through over the years. Guests can dive or snorkel the incredible reefs of Fakarava, part of a UNESCO Biosphere Reserve, and the Pitcairn Islands, one of National Geographic’s Pristine Seas preservation areas. The 19-day voyage begins 3 December 2014, departing Papeete, Tahiti and disembarking on Easter Island, with rates beginning at $17,410. This trip provides an opportunity to see tropical nature at its best in almost every location. Guests will be able to spend two days at Aldabra, an atoll with a variety of sea life, and see the unique coco-de-mer on Praslin Island. The 13-day voyage begins 9 April 2015 departing Dar es Salaam, Tanzania and disembarking in Victoria, Mahe; and 22 October 2015 departing Mahe and disembarking in Dar es Salaam. Rates begin at $14,770. On this voyage guests will explore the middle of the Indian Ocean – home to tiny tropical islands with pristine ecosystems. Here they can snorkel with more than a thousand types of fish species including manta rays and whale sharks, and search for blue whales near the Maldives and Sri Lanka. The 19-day voyage begins 20 April 2015 with rates from $22,140, departing Mahé, Seychelles and disembarking in Colombo, Sri Lanka. Guests can search for leopards or elephants on game drives and see bird and primate species on this voyage full of rare opportunities. There is the chance to dive and snorkel the vast coral reefs of Indonesia. The 20-day voyage begins 6 May 2015 with rates from $23,380, departing Colombo, Sri Lanka and disembarking in Denpasar, Bali. One of the more diverse expeditions, this voyage spans five countries and a range of habitats. Guests will have the opportunity to dive and snorkel with the enormous whale sharks of Mozambique. The 21-day voyage begins 21 March and 3 November 2015 with rates from $28,820, departing Cape Town, South Africa and disembarking Dar Es Salaam, Tanzania. The National Geographic Orion accommodates 102 guests in 53 cabins. The interior is spacious and offers a range of modern public rooms with panoramic views. Her public rooms include a window-lined main lounge and library, as well as an observation lounge at the very top of the ship. In addition, a dedicated theatre provides a unique setting for specialist presentations, films or slideshows. Designed and purpose built in Germany in 2003 specifically for expedition travel, National Geographic Orion was created from the outset to explore the far corners of the Earth in self-sufficiency. 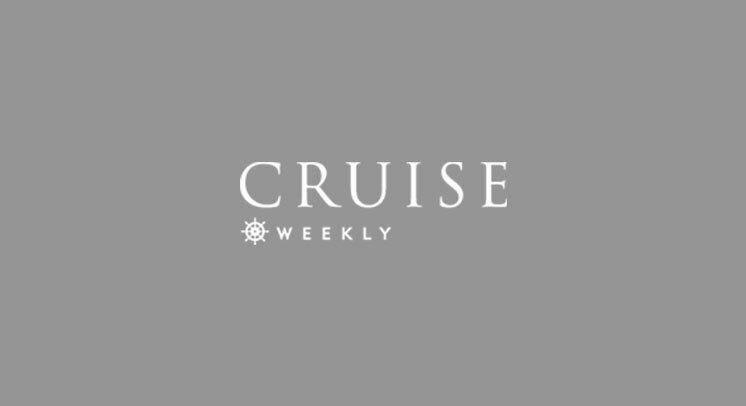 The National Geographic Orion’s enhancements mirror the rest of the Lindblad Expeditions-National Geographic fleet, which includes six National Geographic branded small ships and four seasonal charters that travel to all seven continents. To obtain additional information on Lindblad Expeditions-National Geographic or to book, visit www.expeditions.com, call 1300 361 012 or see your travel agent.